Chrysler has issued recent recalls impacting millions of vehicles, including several for the Pacifica Hybrid. Not long ago, Chrysler recalled nearly five million vehicles for an issue that could cause the cruise control to stay locked on. This newest recall for the Pacifica Hybrid is related to the latter. 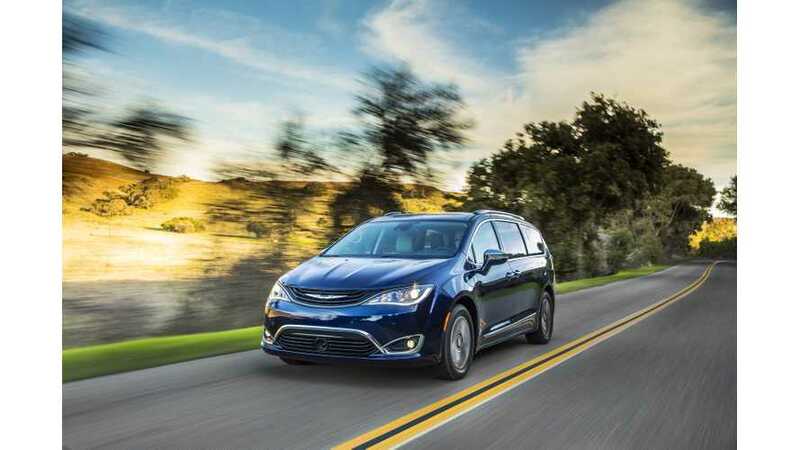 It's important to note that even if you had the cruise control issue fixed, the automaker still wants your plug-in hybrid minivan back in for another check. A possible issue that could cause the minivan to stall or increase its potential for fire moves FCA to recall over 10,000 Pacifica Hybrids. The issue involves the gas engine not starting correctly after the van switches out of electric-only mode, which can cause the van to stall and leave unused gas in the exhaust system with potential to ignite. This is just one of many recalls involving the plug-in van, including another that could render the van inoperable due to a faulty diode. The recall applies to 2017 and 2018 Pacifica Hybrids that were produced between August 16, 2016 and August 7, 2018. ... the electric motor will continue to spin the engine in this condition causing significant amounts of unburned fuel to enter the catalyst and potentially ignite. Chrysler plans to start servicing this recall on December 8, 2018. The technicians will run an update on the van's powertrain software and check the catalytic converter. If there are concerns with the converter, it will be replaced. Contact Chrysler customer service for more details (1-800-853-1403).